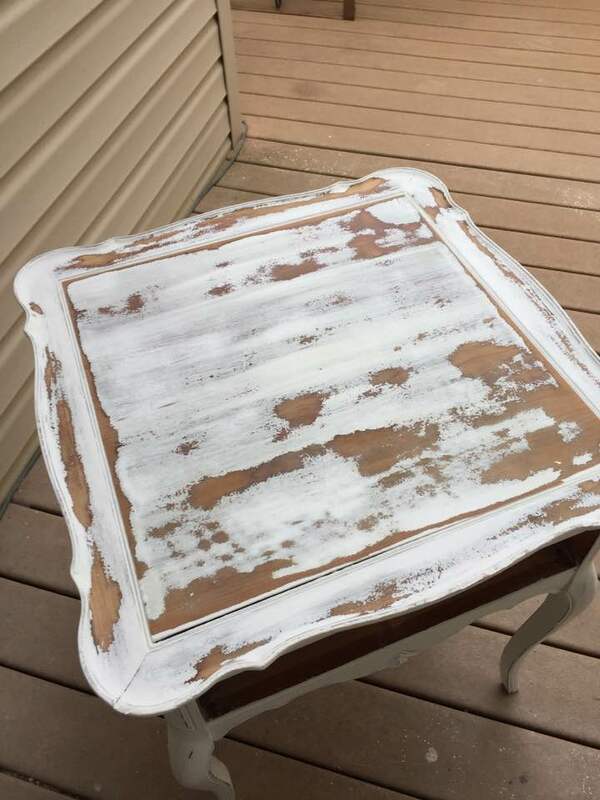 This table was previously painted in white, but the top received some damage while in the booth, so I brought it home to repaint. 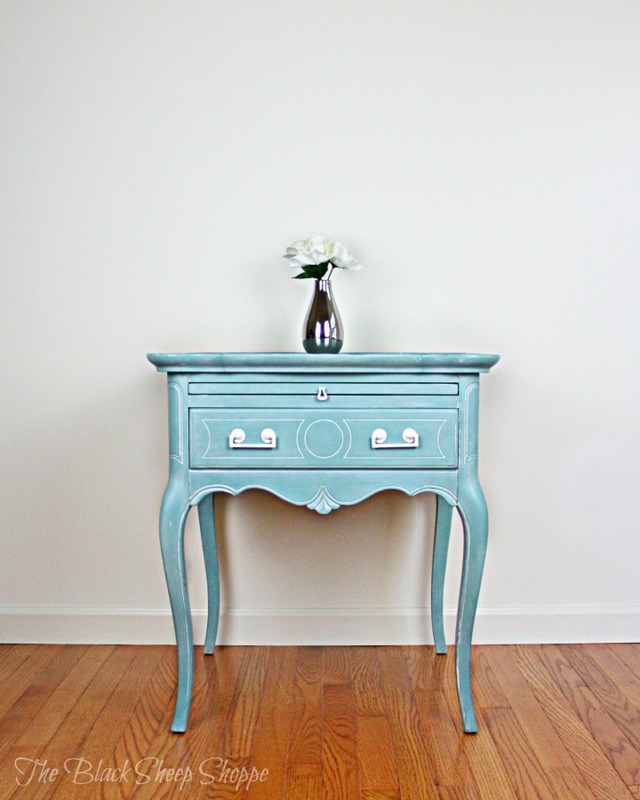 After I brought it home I decided to give it a fresh new color scheme. 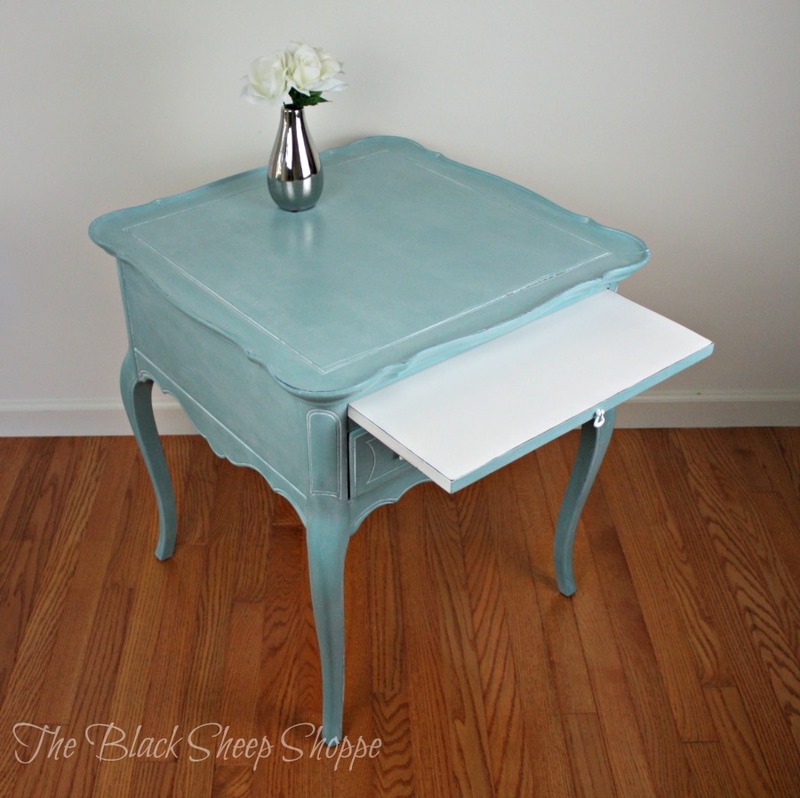 I sanded back the damaged areas from the top and applied two coats of clear shellac prior to painting. Getting ready for the new finish. Cleaned, sanded, and shellac applied. 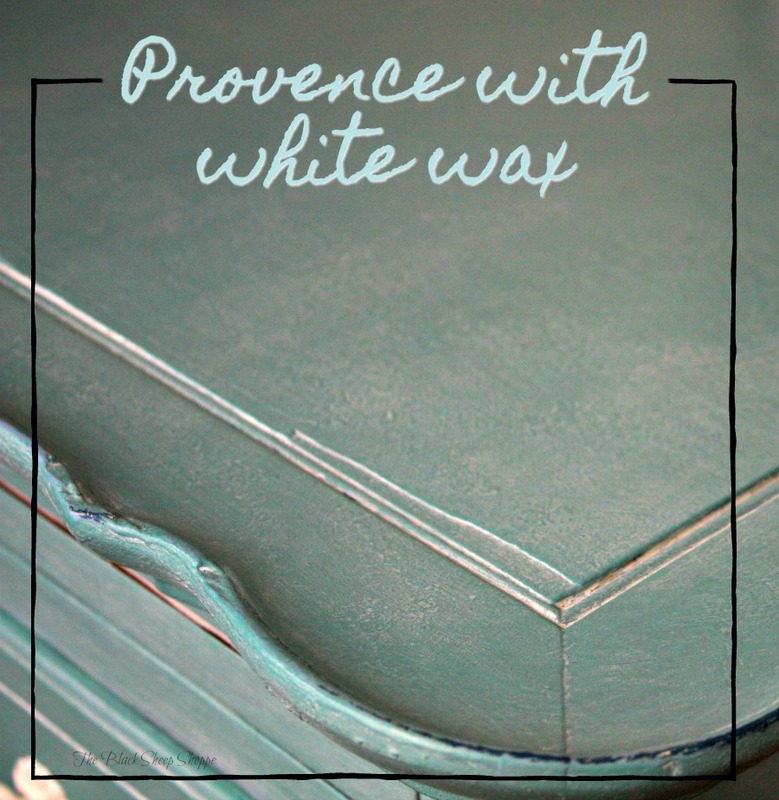 The new color scheme is Provence with white wax. 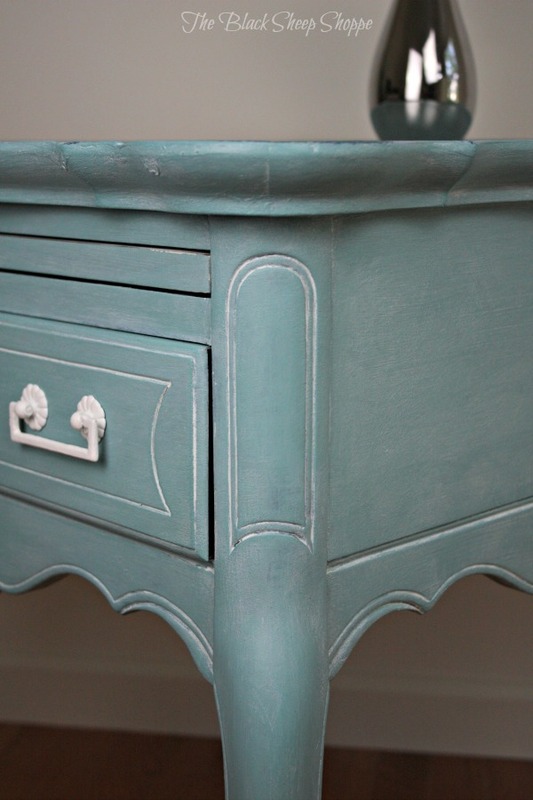 Chalk Paint by Annie Sloan Products: Provence, soft clear wax, and white wax.